Texas ranks 41st nationally in physicians per 100,000 population. Plus, not enough of our health care dollars are going to health care. Corporations are pressing harder to dictate patient care decisions. Insurance company abuses create unnecessary barriers to patient care. Unqualified providers are trying to make dangerous medical decisions. Behavioral health and public health need much more of our attention. Too much of our state’s population is uninsured. Infant and maternal mortality rates are alarming. We are losing our state's medical-school-trained doctors to residency programs in other states. And Medicare and Medicaid payments often don’t cover the cost of patient care. Sure, it would be easy to brag about our world-class medical schools and research institutions, our cutting-edge treatments, the billions of dollars we provide in uncompensated care, the proven liability reforms that have stopped medical lawsuit abuse, and our thousands of dedicated and caring Texas physicians. As a state, we — public officials, physicians, other health care practitioners, taxpayers, business owners and parents — must assume responsibility for improving and protecting patient care for all Texans. We should neither take our health for granted nor be blind to that which is curable though proper patient care or legislative reform. In this, our fourth “Healthy Vision” document, the physicians of the Texas Medical Association (TMA) share stories that illustrate these problems, and outline our solutions. 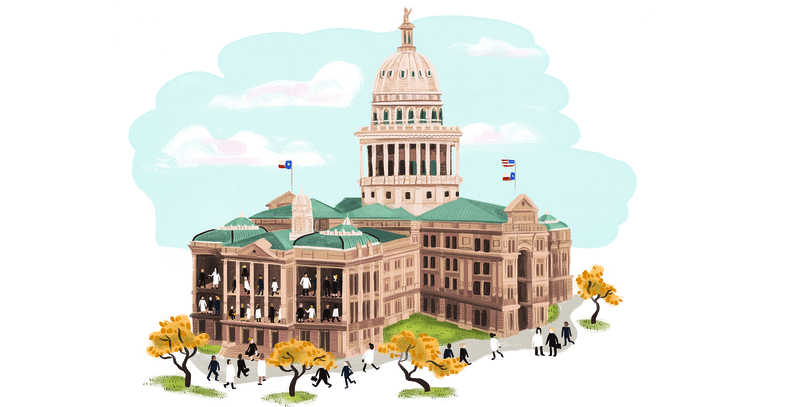 We look forward to working with the members of the Texas Legislature and the agencies that oversee and regulate health care to achieve our healthy vision for the people of this great state and for those of us who have dedicated our careers to caring for them. TMA is the largest state medical society in the nation, representing nearly 53,000 physician and medical student members. It is located in Austin and has 110 component county medical societies around the state. TMA’s key objective since 1853 is to improve the health of all Texans.